Books are incredible. You can have the knowledge of the world’s experts at your fingertips. You don’t have to sit through seven years of PhD classes or learn lessons the hard way if you make use of good books. A good book is like a portable mentor that has a lifetime cost of less than $20. It’s one of the best deals on the planet! Unfortunately, most of us read great books, but we fail to get anything substantial from them. Our knowledge increases, but our lives stay the same. It’s not enough to passively read a book. There’s a lot more to the process. Choose an appropriate topic. To get the most from a book, it’s important to choose a subject that will help you in some way. Where do you need the most help in your life? Is it something general like confidence or self-esteem, or a specific skill like public speaking or networking? Take the time to find a great book on your subject. Most online booksellers include reviews. Let these be a guide. You can find most of the most popular books in your local library. Read the entire book. Avoid skipping chapters or pages that bore you. Read the entire book, including the foreword and introduction. Writing is a hassle, so the author is only going to write things that they believe are relevant. Take notes. Avoid relying on your memory to capture the most relevant points in the book. Write down those nuggets of wisdom, so you’ll have them available in the future. You’ll also have them all in one place. Ask yourself how you can apply this information to your life. Include the answer in your notes. Review each chapter. Once you complete a chapter, review what you’ve learned. Spend some time thinking about it. You might spend an entire day thinking about it on and off. Consider that each chapter may reveal valuable information that can change your life for the better. Find that piece of information. Make a plan to apply the information. It’s not enough to know something. You have apply it to get any benefit from it. Set up a plan for utilizing the information. What habits could you create? What are some things you need to do or stop doing? Re-read the book. 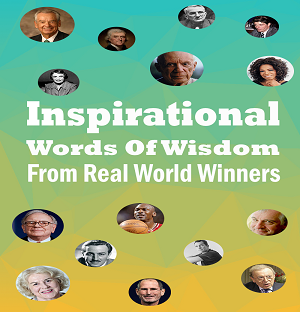 Many success gurus brag about reading a new book each day. This is a mistake. You’re far better off reading fewer books multiple times each year and deeply understanding the information. How can you read a book each day and apply the information to your life? You can’t. Read other books on the same topic. One book gives you information. 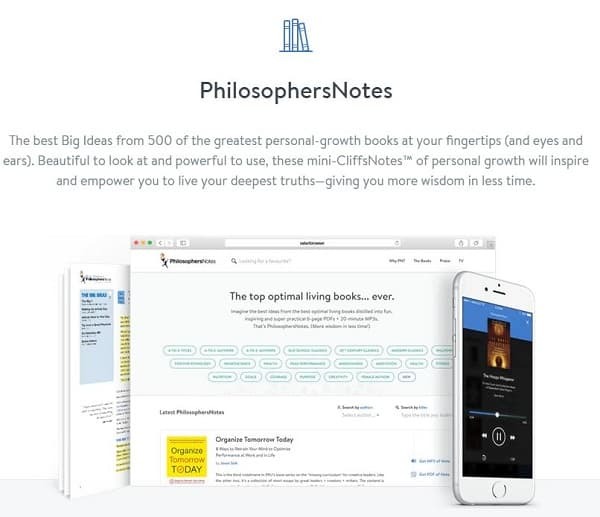 Five books on the same topic gives you understanding. Become an expert on your topic of choice. As you’re applying the information from one book, deepen your understanding with a similar book. Take your time and be thorough. How much benefit have you really gotten from the books you’ve read? Odds are that you could be doing a lot better! Books can save us so much time versus trying to figure things out on our own. They are a way to rapidly boost your life, but it’s important to read actively and then to apply the information. Information that isn’t acted upon has little value. 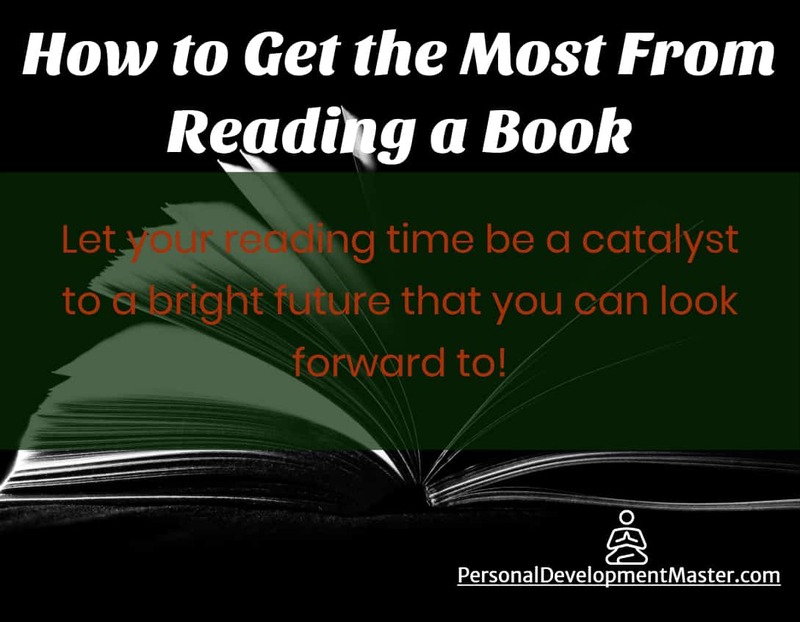 Let your reading time be a catalyst to a bright future that you can look forward to!